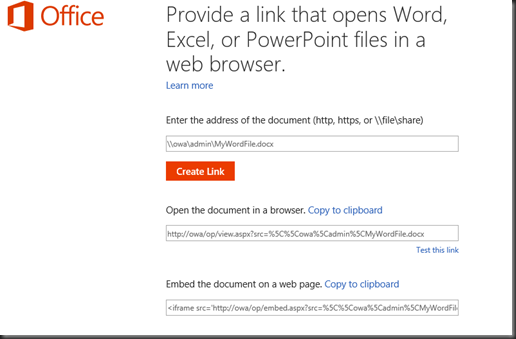 My demo was a full deployment of OWA for Internal and External use. 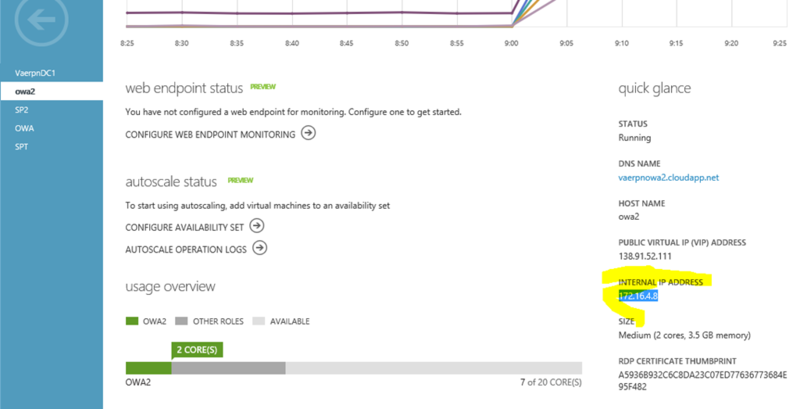 All VM’s in Azure http:\\ Endpoints opened in Azure. 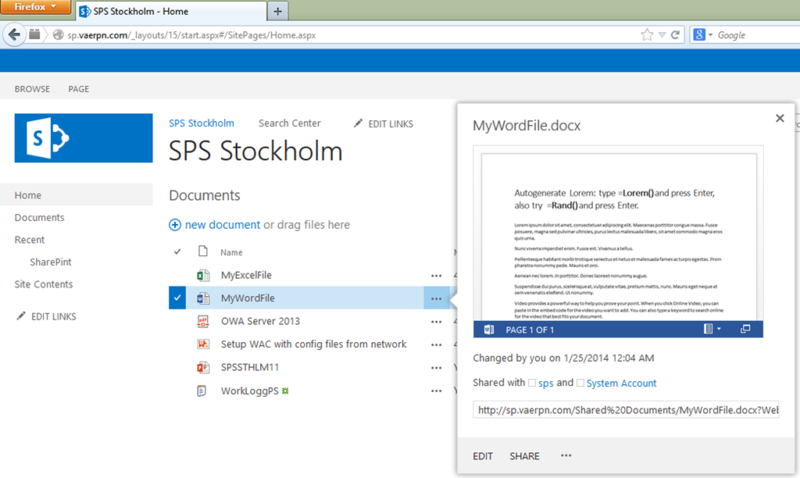 SharePoint Foundation 13 w.SQL Express and off course AD was allready there. 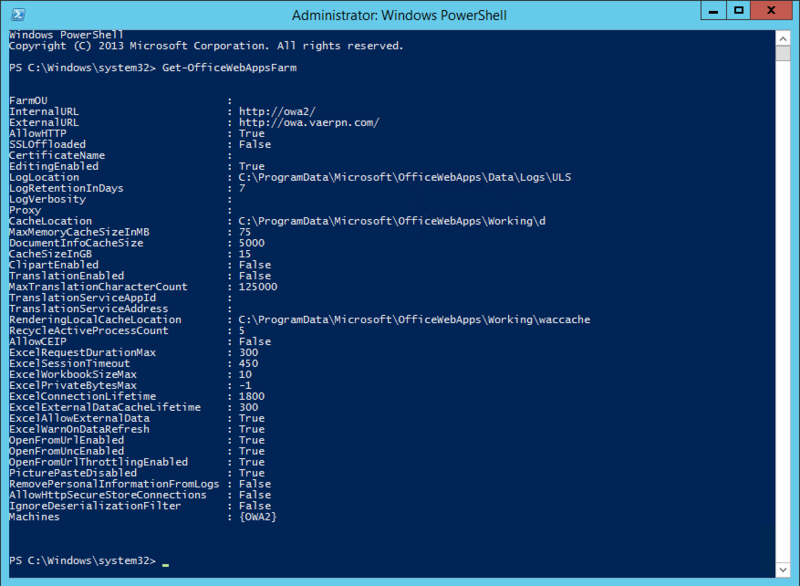 I deployed and configured the farm using PowerShell. 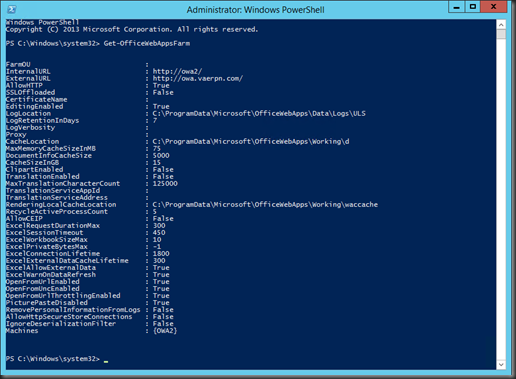 OWA server OS Win 2012 R2. 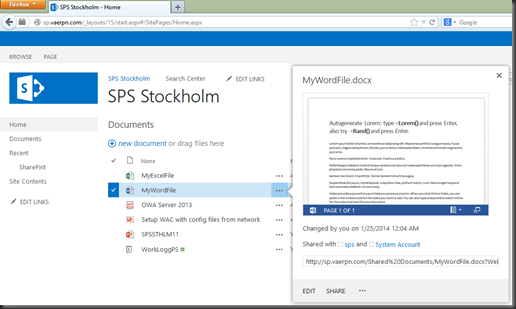 # Navigate to Site settings – Search Result type – Copy PDF rename to PDF Preview, Actions result change to Word Item. 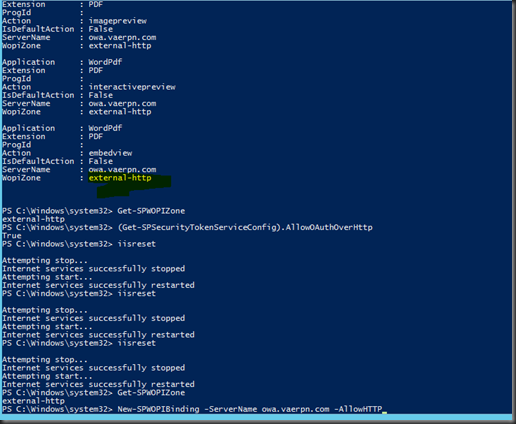 #The Get-OfficeWebAppsFarm cmdlet displays all farm settings, notice that OpenFromUrlsEnabled is set to True –this is not default setting. 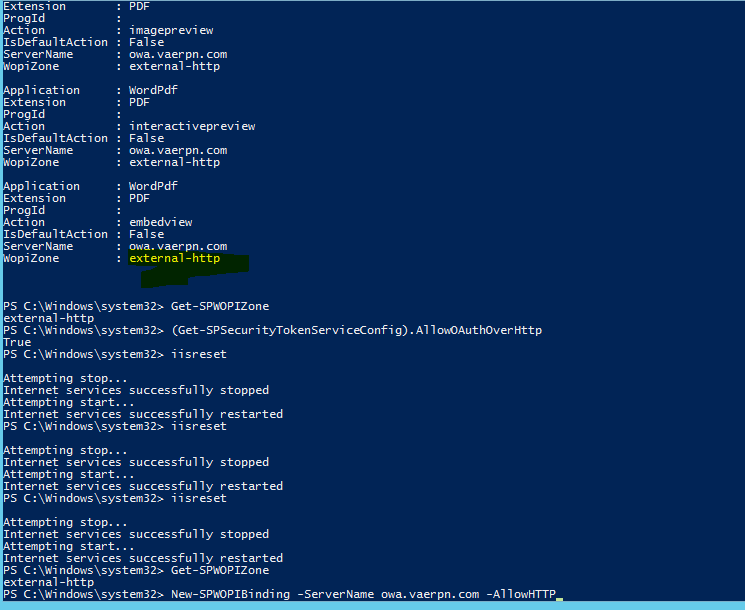 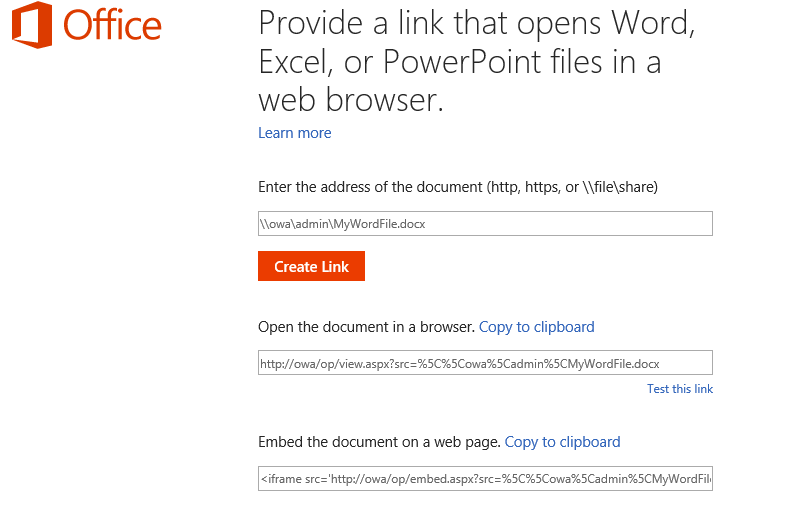 # type Http.//”yourowafarm”/op/generate.aspx and you can create link to open or embed office files from url or unc shares. 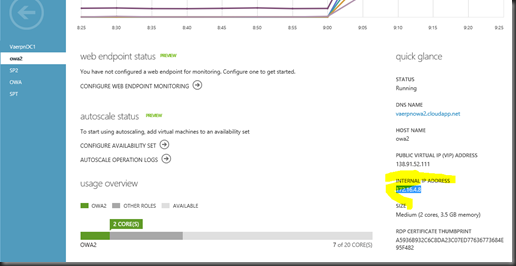 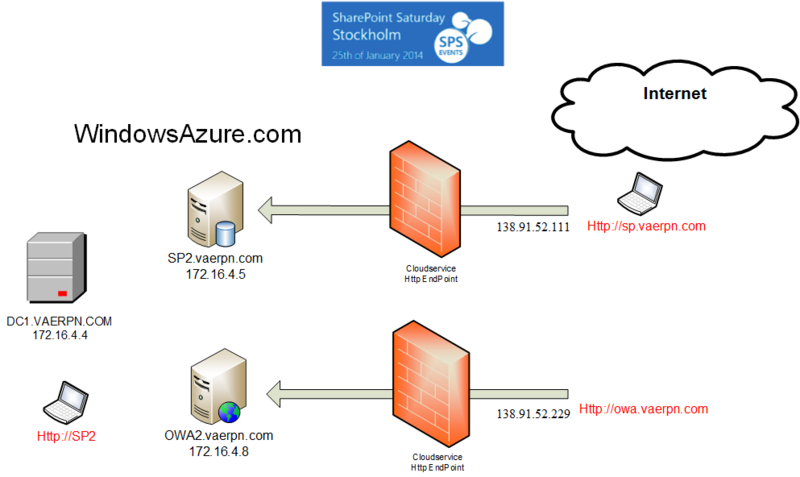 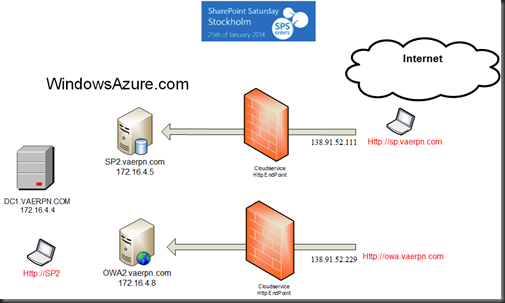 # In WindowsAzure subscription on the OWA and SPWFE dashboard open http: Endpoint and note the Public VIP Address. 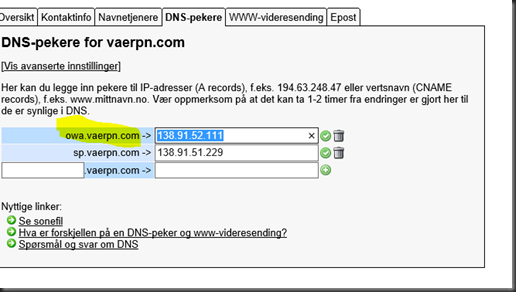 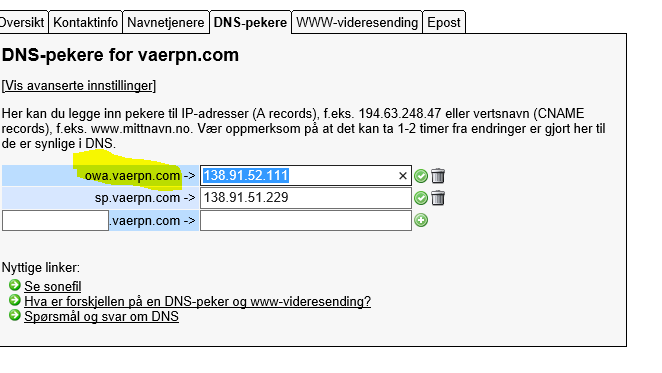 # Finally Update your external DNS sone accordingly.